I love textiles. I love making them, manipulating them, and living with them. Textiles are loaded with cultural and personal meaning. They can symbolize comfort, intimacy, and creative expression, but they are also a commodity, part of a global economy that links labor, raw material, your body, and your home. I want to be aware of how I participate in the textile economy, how my own consumption and material comforts may come at the expense of the environment or someone else’s wellbeing. 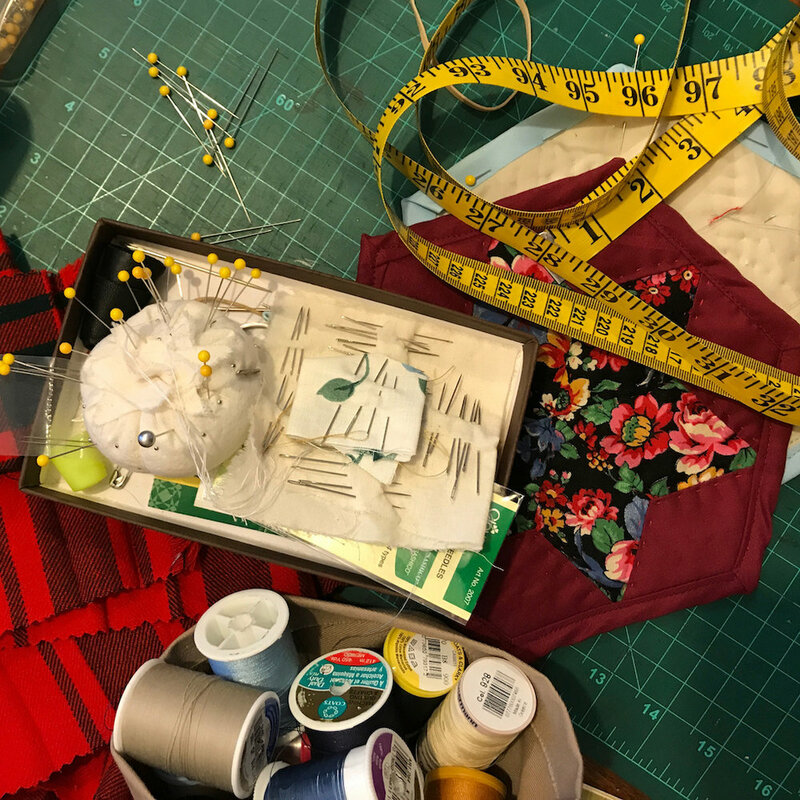 I started Imperfect Textiles to address this on a community level by offering affordable sewing and mending services to the greater Charlottesville area. On a practical level, I can help you fix your clothes or decorate your house, and hopefully, on a personal level, we can start a conversation about intentional consumption.